I don't think I realised just how many things your could dress up as using the theme of SPOTS before! 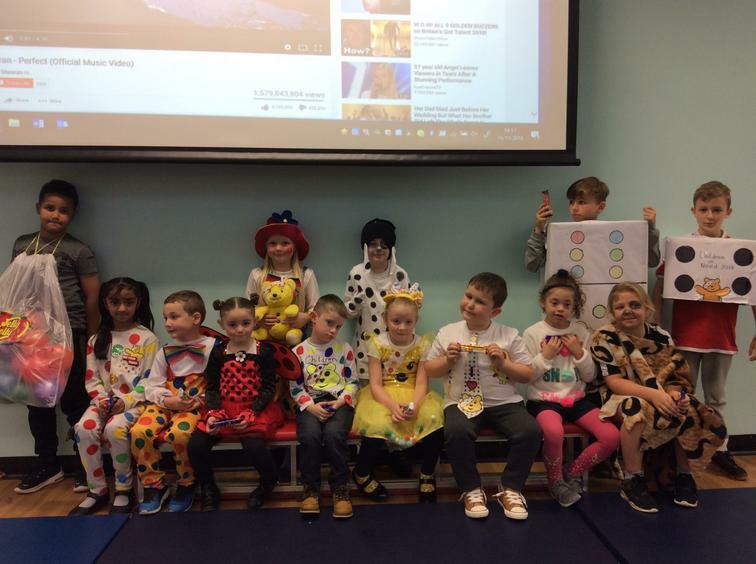 Thank you to all of our children and staff for making such an effort to dress up and raise money for Children In Need! 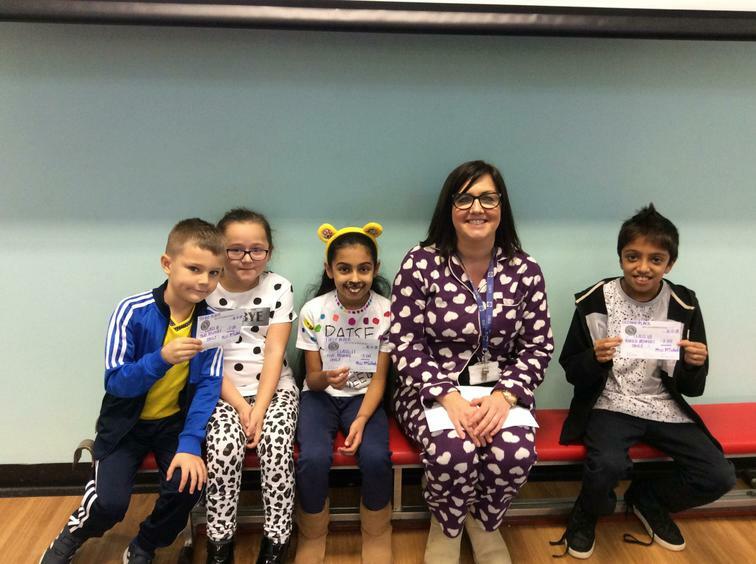 Our School Council Representatives went from class to class this morning to pick one child per child who they believed had the best costume! They were then rewarded with a prize! Also a huge well done to all classes this week who have tried so hard to raise as much money as possible in our inter class competition! Well done to classes 11, 7 and 13 who raised the most!